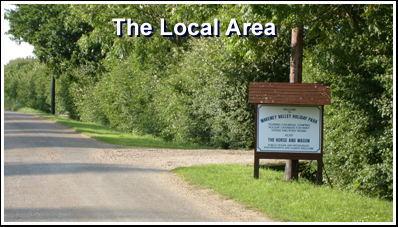 We are situated right in the middle of the Norfolk and Suffolk area. East Anglia has a wealth of attractions, Diss is within easy striking distance of many of them. On our doorstep is Banham Zoo, which is a small but very well kept zoo specialising in breeding rare and endangered species. We are not far from other zoo's including Suffolk Wildlife Park, Thrigby Wildlife Gardens, & Colchester Zoo. For the animal lovers there are numerous attractions, like, Tropical Butterfly World. Easton Farm Park, Redwings Horse Sanctuary. Hillside Animal Sanctuary. Stonham Barns Rural Pursuits, World Horse Welfare. Norfolk Wildlife Centre, Great Yarmouth & Hunstanton Sealife Centres. Suffolk Owl Sanctuary & Norfolk Shire Horse Centre. Also on our doorstep is Bressingham Steam Museum and Gardens, with it's narrow gauge railway and Victorian steam round about, and more than 40 Locomotive, Traction and Fire Engine exhibits, and Dads Army Museum. The area has some beautiful historic houses, Sandringham, is a bit of a drive but well worth it, as are Blickling Hall & Holkham Hall, but there are some closer ones, Euston Hall, Oxburgh Hall.lckworth House,Otley Hall, Kentwell Hall, Somerlayton Hall, Dragon Hall, Mannington Gardens. Warren Lodge, Hadleigh Guildhall, Lavenham Guildhall, Long Melford Hall, Lavenham Little Hall. Haughley Park, Hengrave Hall, South Elmham Hall. & Wingfield Old Cottage. For those interested in history there are many Ancient Monuments, Bungay Castle. Bury St. Edmunds Abbey, Burg Castle Church, Bury St. Edmunds Cathedral. Eye Castle. Framlingham Castle, Orford Castle, Sutton Hoo Burial Site, Grimes Graves, Norwich Castle, Walpole Old Chapel. Caister St Edmunds Roman Site, Tasburgh Hillfort, Norwich Cathedral, Wymondham Abbey & Thetford Priory. For the children there are many and varied activities in the area. Mega Zone. The Mint. Great Yarmouth Pleasure Beach. The Play Barn. Meslop Farm. Wroxham Barns, Thornham Walks. Joyland. Pleasurewood Hills Theme Park, Petits Animal Farm, Fritton Lakes, Playworld, Ocean Adventure. Rollerworld, Dinosaur Adventure Park, High Lodge, Hollywood Bowl. Number Ten, Ice Experience. Friton Lake & Waterworld to mention just a few. Windmills were once a prominent sight in East Anglia, and we still have several working mills left. The 19th century Billingford Mill has recently been given a new lease of life, with a new set of sails and new grinding stones they are milling once more. Other mills on our door step include Starston Windpump, Old Buckenham Mill. Saxtead Green Postmill, Horsey, Windpump, Thelnetham Windmill, Herringfleet Marsh Mill, & Stanton Postmill. If you just want to chill out, we are in a beautiful, unspoilt countryside location, with quiet lanes, excellent for bike riding, country walks and bridle paths good for walking dogs or there are numerous gardens for public view. Thetford Forest is just 1/2 hour away by car, as are the Broads and the coast, which has many beautiful quiet beaches away from all the hustle and bustle, or of course you can stay on site, sit out on the grass and listen to the birds singing or just laze by the pool.